The 2015 Mustang launch is rapidly approaching, with information being announced and leaked on nearly a daily basis. The 2015 Mustang is a dramatic redesign of Ford’s iconic pony car, and will be the first Mustang to be marketed and sold globally. 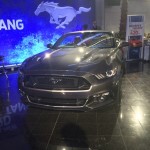 From their simultaneous worldwide launch in December of 2013, Ford wants to make it clear that it is not a global Mustang, but a Mustang that is going global. To that end, production of the 2015 Mustang will occur only at the Flat Rock production facility in Michigan, regardless of final destination. Many dealerships are taking deposits now, but the vehicle is currently not yet available to order and pricing has not been announced. The 2015 Mustang comes with a radical redesign. 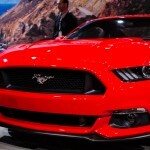 This page will be the one-stop source for all information regarding the 2015 Mustang and all of its variants. Be sure to check back often for more details. 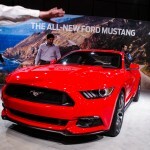 Ford will make available 1,964 copies of their 50 Year Limited Edition 2015 Mustang. There are many differences from the normal Mustang, including special paint options of Kona Blue and Wimbledon White. Additionally, the limited-edition Mustang’s exterior will have extra chrome accents because chrome was popular in 1964. Also the rear GT badge will also be unique to the car. The rear side glass is cut special to look resemble the louvers that appeared on the original car. Inside a cashmere two-toned interior comes standard. Every option available for the 2015 Mustang will appear in the special edition. This includes MyFord Touch, heated and cooled leather seats and dual zone climate control. A hand-etched limited edition badge is affixed to the passenger dash showing the car’s number in the production run. The 50 Year Limited Edition will only be available in GT trim with either a 6-speed manual or 6-speed automatic transmission. Transmission and color are the only choices a purchaser will have when ordering the car. For the 50th birthday of the Mustang, Ford recreated an old trick that they did when the Mustang originally went on sale. They placed a 2015 Mustang on top of the Empire State Building. To complete this task, they had to completely disassemble the 2015 Mustang into small enough pieces to fit through the 36″ doorway of the service elevator in the building. Then they had to reassemble it in just six hours while the observation deck was closed to visitors. 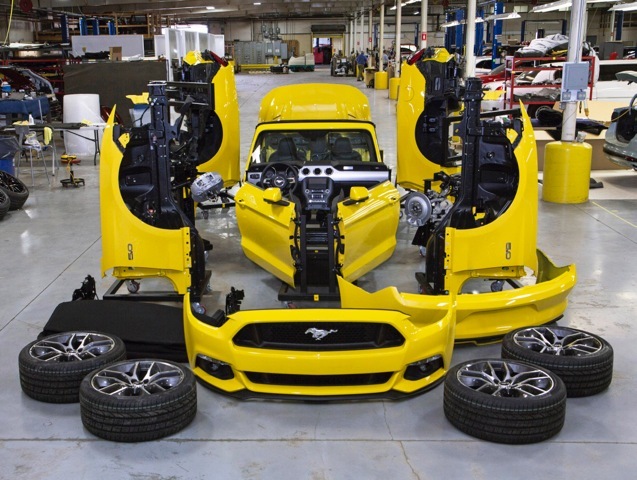 2015 Mustang in pieces to be hauled up the Empire State Building. Along with the 1,964 examples of the 50 Year Anniversary Edition fastback coupes, Ford will be building a 50th anniversary convertible. 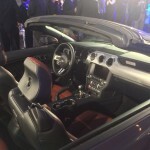 They are only going to build one of these convertibles and are going to raffle it off for charity. The plaque will read serial number 00001 of 00001 and will surely be a collector’s item. For more information, check out Ford’s press release. Drawing of the winning ticket will occur during the 2014 Woodward Dream Cruise along Mustang Alley. 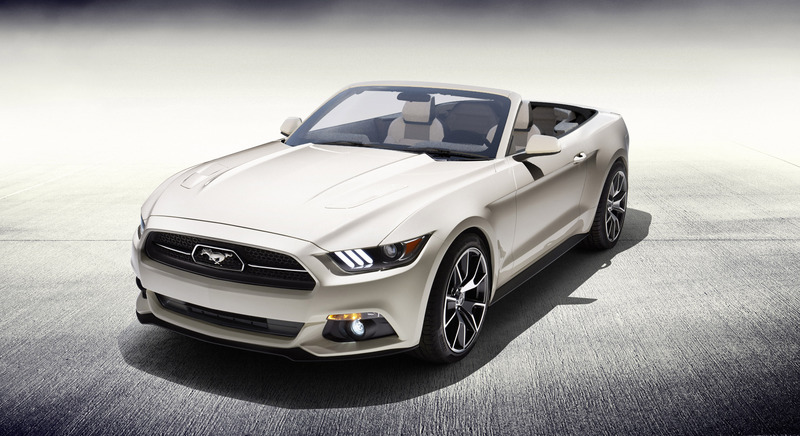 Ford’s rendering of the 2015 Mustang 50th Anniversary Convertible. 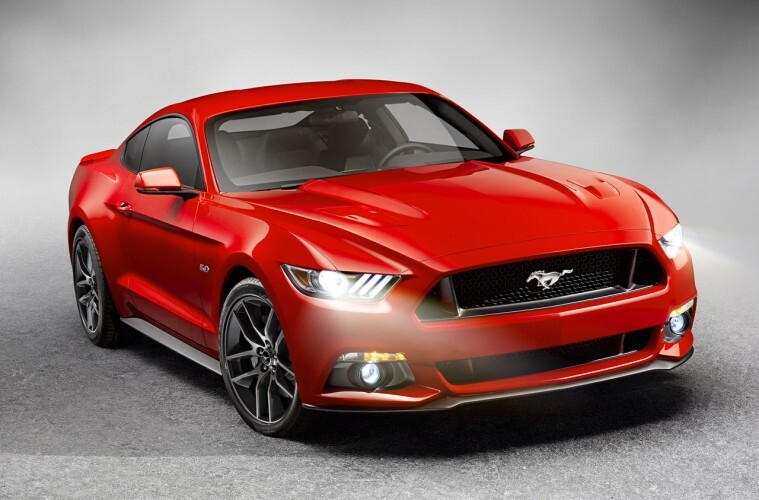 The 2015 Mustang will be available in two different body styles. One is a coupe form that features a fastback design. The other is a convertible. 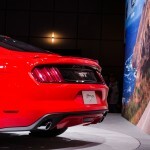 For the first time in a long time, the Mustang uses different trunk lids depending on which version is ordered. This gives the vehicle a unique look that is special to the body type. 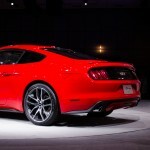 Thanks to a leak to Motor Review, we know that the 2015 Mustang will have three different trim levels. 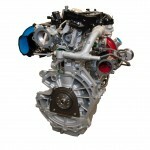 The heart of the Mustang is the engine that powers it, and there will be at least 4 options available. 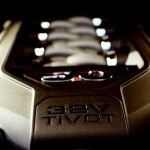 3.7L V6 making approximately 305hp and available in the base Mustang. 2.3L EcoBoost I4 making approximately 300hp and available in the base Mustang as a paid upgrade. 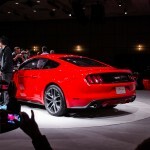 5.0L V8 making approximately 420hp and available exclusively on the Mustang GT. Unknown Engine Powering Shelby Version. The 5.0L “Coyote” V8 in the Mustang GT. The 2.3L EcoBoost found in the base Mustang as an upgrade. The 2015 Mustang will feature two different transmissions. For the enthusiast, Ford has decided to continue offering a 6-speed manual transmission. From our previous driving experiences, the final two gears tend to be geared for fuel economy. Also available is a standard 6-speed automatic transmission. Even though Ford offers a dual-clutch transmission in the Fiesta and Focus, one has not been developed (or will not be developed) for the Mustang. 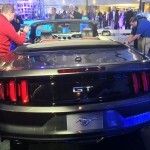 The above Mustang, displayed at the 2014 International CES, is painted in Magnetic. Noticeably absent from 2015 is “Gotta Have It” Green and Grabber Blue. However, there are some interesting colors replacing them. 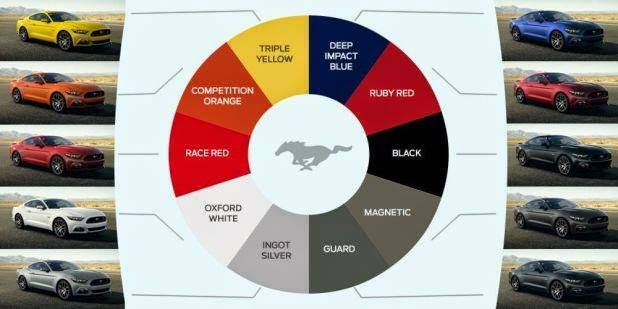 The Mustang will be available in the following colors. Some of the colors available on Mustang. 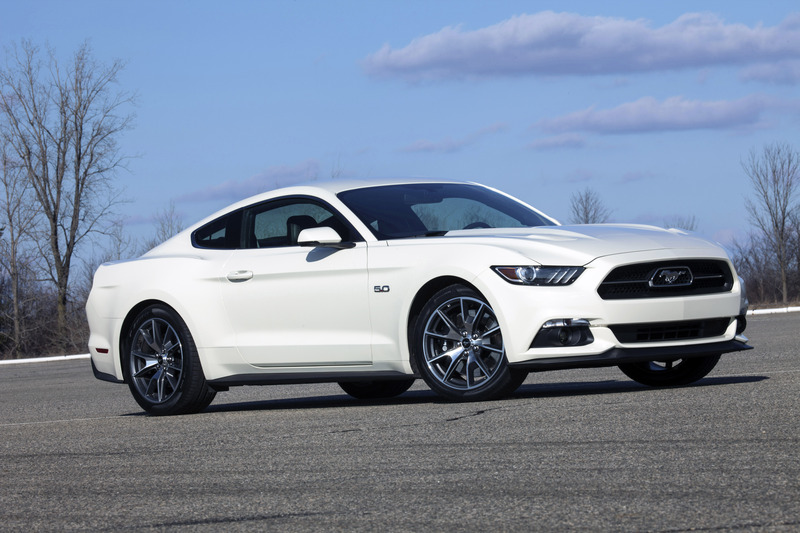 We have a detailed list of the standard equipment and available options for the 2015 Mustang V6, Mustang EcoBoost, Mustang GT and 50 Years Special Edition. Pricing hasn’t been announced yet, but we are expecting that in the near future. 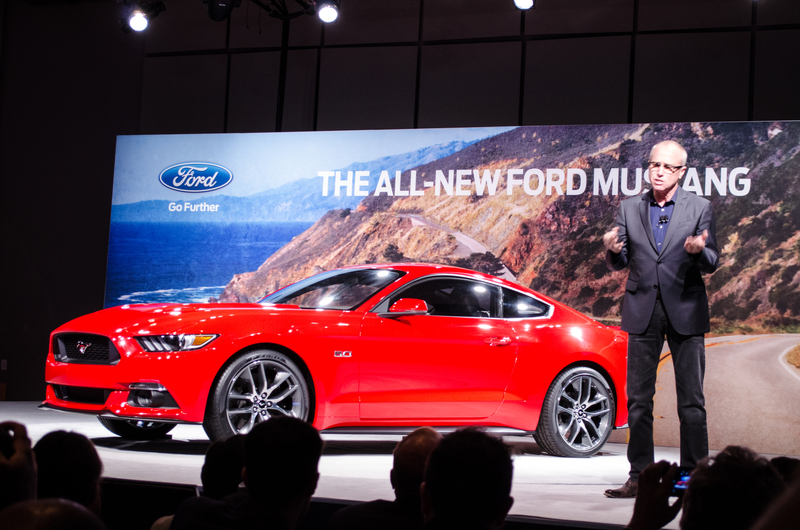 All Mustangs will come with a 6-speed manual transmission, with the automatic 6-speed an optional extra. If you were concerned about getting the signature LED lighting on the front headlights with the HIDs, don’t worry. Those are also standard on every Mustang that will sell in the United States. It looks like a rear-view camera will be standard on all Mustangs and rear ultrasonic parking sensors are an optional extra on some versions. We’re not surprised to see the cameras standard as the government has mandated them by 2018. We do like seeing Ford take the initiative early. Ford say that the 2015 Mustang will be the most technologically advanced Mustang ever offered. Indeed, there are options that will be available on Mustang for the first time. For many, the biggest change will be the addition of an independent rear suspension setup. For everyday driving, this setup will make the Mustang more comfortable. Ruts and tracks in the road will be more easily crossed with an independent rear suspension setup. Also, for canyon carving or racing on a track, the suspension should improve the overall handling. READ: 2014 Mustang v. 2015 Mustang: Should You Wait or Buy Now? The live axle rear suspension is beneficial on the drag strip, where it assists with keeping both wheels planted to the track for launch. Rumor is Ford Racing will offer a live axle conversion for those who are interested. The 2015 Mustang will be compared with other vehicles here on Motor Review, and these are the ones we looked at. 2015 Mustang GT vs. 2014 Camaro 2SS – The first round of many comparisons between these two blood rivals ends up being a draw. On paper, the Mustang is lighter and faster in a straight line, but on paper the Camaro is faster in the corners. Estimates are pricing will be similar as well, making the decision more difficult for buyers on the fence. Original 2015 Mustang GT prototype running footage. The V8 sound is very prominent. Videos have leaked showing a prototype Shelby roaming around California. The first one is a night shot of the Shelby taking off from a traffic light. The second is following one through the suburbs during the day. This second video also shows a good look at the new car from all sides. 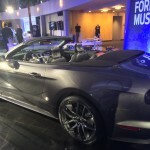 The new 2015 Mustang convertible has a unique top design that is more advanced. 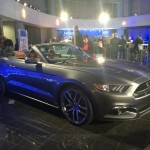 The preceding video demonstrates the 2015 Mustang convertible top in action. 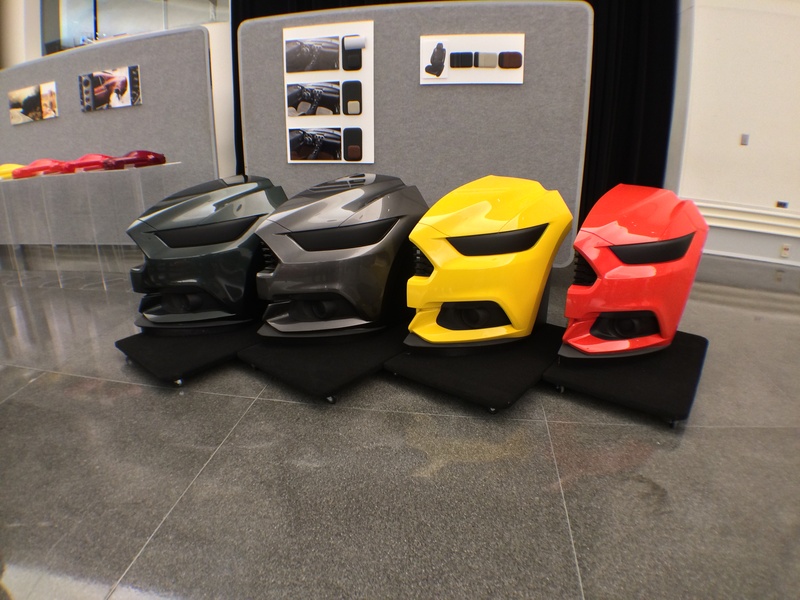 The following articles are related directly to the 2015 Mustang and launch. 2015 Mustang Photos: Is It Still King of the Pony Cars? 2015 Mustang Shelby to Target 2014 Camaro Z/28? 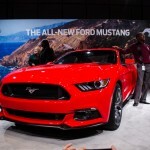 2014 Mustang v. 2015 Mustang: Should You Wait or Buy Now?